Say It Ain’t So Mike! – Trees & Flowers & Birds! I read some of the review on Amazon and it is interesting to see that about 1/2 the folks there who wrote one came away with the same taste in their mouths. 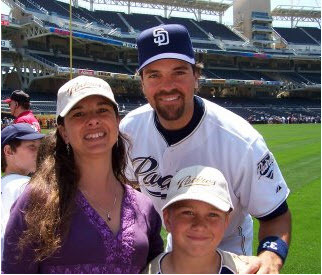 Mike Piazza, the person writes with a voice that is deeply insecure, defensive and quick to assume that anyone who EVER does ANYTHING he doesn’t agree with is somehow out to get him. 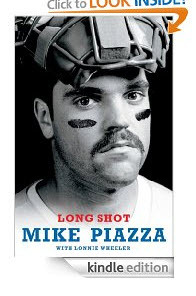 For a guy who is writing this book with the intention of PROVING that he earned every accolade he receives on his own merits vs on the backs of his dad and his familial connection to the Dodgers organization – he utterly blows it. In my humble opinion, every time he tried to clarify some detail from his past that he thought had been improperly sourced by the media, he simply dug himself into the mess deeper. It became a case of “I think he doth protest too much” on so many topics. That’s not true of everything he tries to debunk. For instance, I do still believe that he never injected himself with any PED’s. I also think he is not gay. Both those rumors seemed easy enough for him to debunk and they came across as much more straight forward topics in his way of addressing them. At any rate – he didn’t seem to be WHINING about them as much! 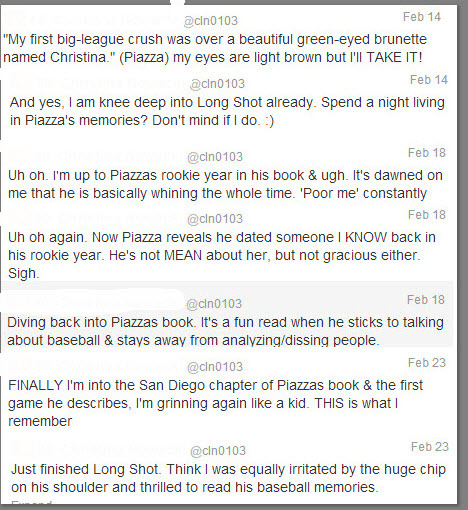 When he whines is when he talks about nearly every personal and professional relationship he has while in the MLB. At some point he ends up disappointed in, or hurt by, or just plain angry at everyone. Along the way he ADMITS he has a chip on his shoulder and that he knows it sounds like he is making tons of excuses for himself but he just continues barreling down that path every time. His interpretation of Vin Scully interviewing him while he was in his contract negotiation with the Dodgers – when he describes it as Vin “throwing him under the bus” is just absurd. Whether you read the transcript he puts in the book, or just go find the interview video online and watch it – I cannot see ANY evidence to support that claim! Especially given that Scully is otherwise never mentioned – clearly has NO vendetta or reason to spin anything against Mike – and clearly never DID. I see that as encapsulating the entire problem I have with the book – everyone is out to get Mike and gosh darnit he’s going to show just how everyone did at every twist and turn in his career and if you don’t believe him then you are in on it too! On the other hand, there are also some really really enjoyable portions of the book for anyone who is simply a fan of the game. For all the whining and me me me presented – I do think Mike ADORES the game. Baseball was his obsession from the time he was very young. A pretty healthy set of OCD rituals made him enough of a standout that even when he was clearly taking advantage of opportunities presented to him thanks to his father’s connections, it was still up to him to make people take notice. The story of Ted Williams doing just that is darn awesome. Piazza’s own awe at that event is very well expressed. In fact, his overall writing style is pretty well done. Obviously the negatives came through loud & clear! Since Mike is just a few years younger than me, his childhood baseball memories parallel mine and it was fun to relive those years through his eyes. I will cheer just as loudly WHEN he gets into the Hall of Fame (and he should) as I would had I not read the book and discovered the less charming sides of his personality. He does a mighty fine job of tooting his own horn, but I do think he worked hard to get to that point. I am just sad to see that he still thinks he needs to prove some things – and I cannot help but wonder if it is more about proving things to HIMSELF vs to the rest of us.